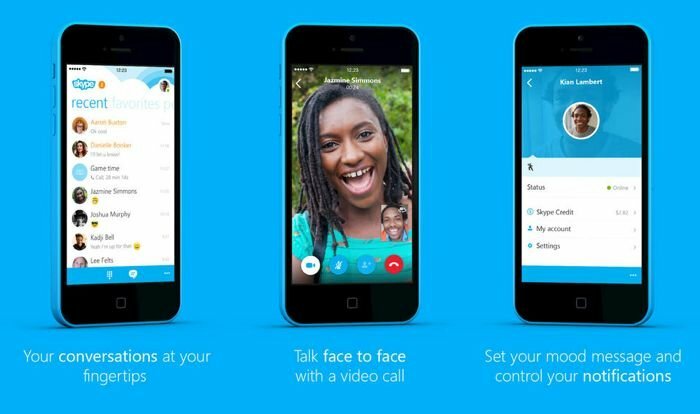 Skype announced about a week ago that they were getting ready to release a new version of their app for Apple’s iOS platform, and now the company has launched Skype 5.0 for iPhone. Skype 5.0 for iPhone comes with a range of new features, and a new look, which Skype says is the beginning of a new Skype experience on the iPhone. Skype 5.0 for iPhone has arrived! We were excited to use your feedback to remaster the app around you, to help you connect with your friends and family simply and quickly. We’re excited for you to see how the new app has been redesigned to put your conversations first, providing you with a smoother, leaner and more integrated experience. Skype for iPhone is up to five times faster and it is also more stable and more reliable. Navigating through the new UI is easier and more fluid. Whether it’s creating a group chat, sending a photo or starting a video call, the new Skype for iPhone has been rethought to be simple and intuitive. Skype 5.0 for iPhone is available to download from the Apple Store, it will work on iPhones running iOS 7 and above, Skype have also said that they are working on the new version for the iPad which should launch soon.